Varicose veins are the larger cousins of spider veins but are more concerning because they can cause far more than just cosmetic problems. While they are not life-or-death concerns, they can dramatically affect the quality of your life. When you deal with varicose veins, you may not want to go out and about, may be unwilling to show off your legs and may be too uncomfortable to participate in your favorite activities. If you are trying to determine if your problems are related to varicose veins, here are some of the most common symptoms that point to this uncomfortable problem. The cardinal symptom of varicose veins is the physical manifestation on your legs. These veins are not merely colorful patterns beneath your skin. Instead, they typically stand up off your skin, creating bumpy blue or purple patterns. The veins are often twisted and may even appear ropey. Initially, you may not have any symptoms other than those described above. However, as the varicose veins progress and become larger, you may feel some discomfort in the area. This may feel like a cramping sensation or a feeling of restlessness that may keep you from holding your legs still, and that may prevent you from getting good sleep. Discomfort may become worse if you sit for long periods. As the problem continues to progress, blood may back up in your lower legs which often appears as swollen feet or ankles. It may become difficult to put your socks and shoes on, and your compression stockings may not provide adequate relief. With the swelling, you may also notice that the skin lying over the area begins to change, such as changing to a different color, becoming hard, inflamed, and itchy. Eventually, you may develop open sores or ulcers with drainage which can lead to infection. Of course, the best way to know whether you have varicose veins is to undergo testing. The most frequently used test is an ultrasound that is performed by sliding a handheld device over the surface of the skin. In more serious cases, a venogram may be used. While self-diagnosis may seem to be easy for varicose veins, professional help is necessary for a definitive diagnosis. When you choose our clinic, you can know that you are seeing an experienced practitioner who has great knowledge of venous issues. You can also be able to undergo noninvasive testing to determine where the main problem lies. 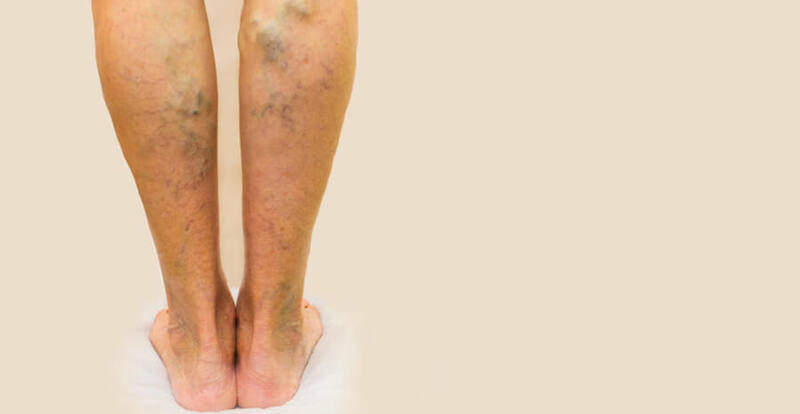 Once we have a definitive diagnosis, we can help you choose the correct treatment or series of treatments to remove these irritating and uncomfortable veins from your legs. Contact us today here at Rejuveination to set up a time to see one of our practitioners.